Vibra Healthcare prides itself on exceptional patient experience. In order to consistently uphold its high standards, Vibra needed a way to ensure every patient at each of their 42 hospitals was satisfied with every appointment. This would require collecting and analyzing feedback from patients and staff on a regular basis, as well as a system that both corporate and location-level management could use easily without disrupting day-to-day workflow. This is what led Vibra Healthcare to BirdEye. BirdEye’s flexible dashboards let executives at each location manage their own online reputation. Meanwhile, Vibra’s 5 division leaders oversaw the entire organization and used custom hierarchies to compare performance across divisions, locations, CEOs, and Directors of Business Development (DBD’s). 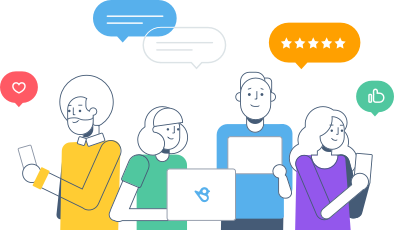 With BirdEye, Vibra was able to monitor all its reviews from 150+ sites in one place; from employee reviews on Glassdoor and Indeed to patient reviews on Google and Facebook, Vibra had one cohesive view of its public perception. “Having reviews from across the web brought right to our inboxes is an amazing value add,” said Kyle Hollinger, VP Media Development at Vibra. From one dashboard, management could respond directly to any review to solve problems the moment they emerged. 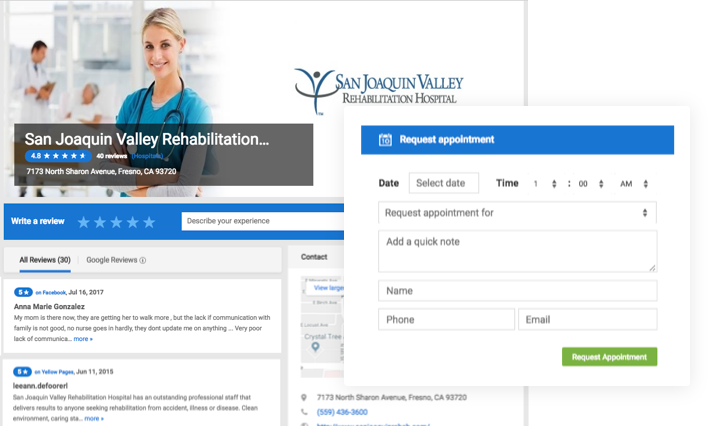 To keep up with patient sentiment, Vibra systematically collected feedback from every patient after an appointment via BirdEye’s automated SMS and email review requests, with 25% percent of email requests converting into reviews on third-party sites. As more reviews began flowing in, each hospital used BirdEye to auto-promote their authentic testimonials to their social media profiles and practice websites. BirdEye also built each location its own review microsite, displaying that location’s reviews, up-to-date practice information, and an easy appointment-booking portal to convert site visitors into new patients. To track their progress, Vibra used BirdEye’s detailed reports of reviews, ratings and sentiment over time as well as by location, division, CEO, DBD, and source. All patient and employee feedback was run through BirdEye’s Natural Language Processing (NLP) engine and converted into actionable insights. Corporate could easily benchmark performance across locations at a category, topic and keyword level to discover what was driving negative sentiment, how to fix it, and where. With automated review requests sent at critical moments, Vibra successfully generated a high volume of patient and employee reviews in just the first 18 months with BirdEye, helping the company understand what was working and what could be better. During this same time period, their operational improvements boosted their star rating by .1 stars. Since BirdEye’s microsites were continuously updated with fresh, organic content from patient reviews, they ranked high in local search. Each practice was able to reach a wider audience by cross-posting positive reviews to its social channels and website, increasing site traffic and conversions. 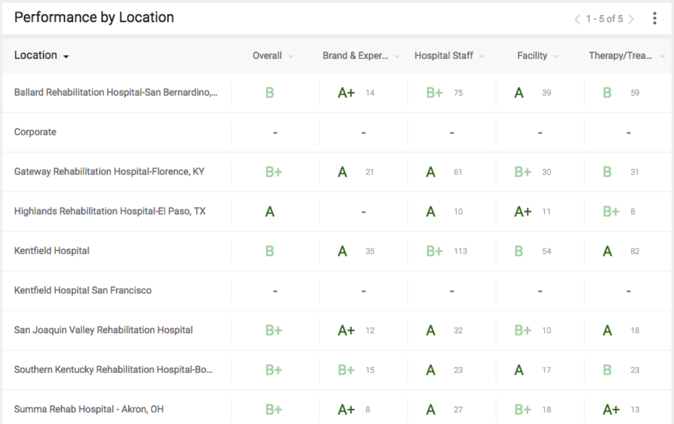 Finally, BirdEye also fixed each hospital’s business listings across 50+ consumer sites and directories, moving them up further in local search results. Now when patients across the country search online for healthcare services, their local Vibra hospital stands out as the most trusted choice. Get more reviews from your customers with Regenerative + BirdEye. Dominate search results. Beat local competitors. Grow your business. Easy, done.